I have written a bit about this in the past. 2 years ago, i had a serious case of food poisoning. I thought i was going to die, seriously! It was just me and my baby at home. The night before, i bought roasted fish(point and kill) from my usual joint, which usually comes with a side of coleslaw that i loved so much because of the sweet taste. The next morning, i was filled with pain, my tummy ached. I was in so much pain, i doubled over. I had to lay on the floor in tears. Every 20 mins, I would go to the loo and back to lay on my tummy. Worst thing was that i didn't have credit on my phone to call my hubby to send someone to me. I pinged him, but it didn't just drop, i then pinged my younger sis, she then called him before he could send someone to me with drugs. That day is still very fresh on my mind. It is one of the reasons i don't eat out much. I never went back for that fish. I have learnt my lesson. This topic just came to me yesterday that's why i am writing about it. Please sweets, be careful what you buy outside. Especially salads. Yes, even in some big stores, be very careful. I have seen bowls of bad salad. Rotten veggies from the day before yuck! Be careful when buying foods that are not cooked or packed raw. Foods that come in tepid temperature. 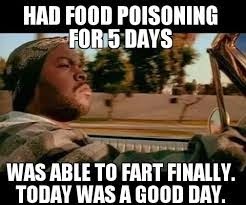 We can easily get food poisoning in our homes too. 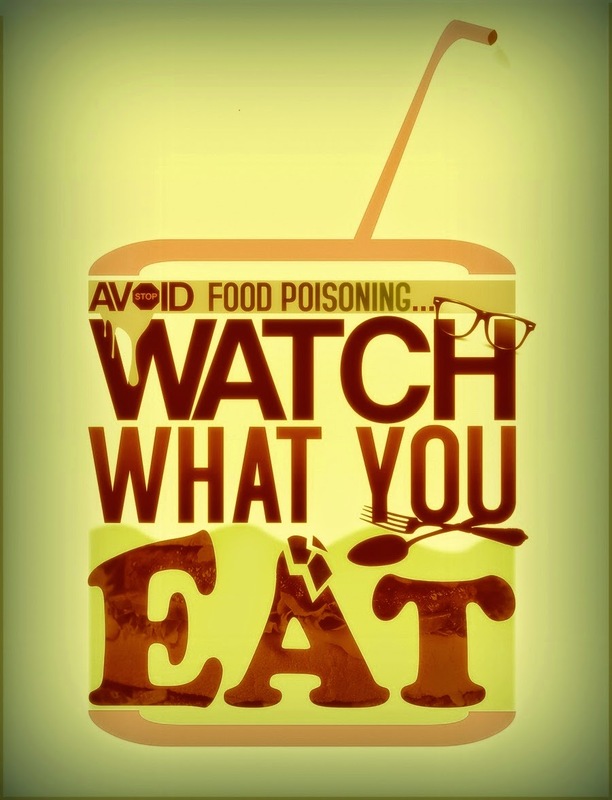 Clean out every rotten food in your fridge, its not a must that everything must be consumed. If its bad, throw it out. Veggie Salads: Make your own salad if you can. Wash the veggies in salt water. Fruit Salads: I wouldn't advise those ones they sell in traffic that has been under the sun for hours. You don't even know how they were prepared. I have seen a fruit lady give someone change, she went back to cutting her fruits, she didn't even rinse off her hands!!!! Suya: some of these guys sell suya from the previous night. Always heat up cold suya in the microwave before eating. Gala: Speechless, rotten gala everywhere! Eggs: If the egg floats in a glass of water its rotten. fresh egg should sink to the bottom. Unwashed fruits: No matter how hungry you are please don't eat that fruit till you wash it. Milk: If the pack has been open for more than 2 days, discard it. Better safe than sorry. Fish: Be sure you are buying fresh fish. If it smells, please reject it. If you have any of these symptoms after eating something you are not sure of, please get someone to take you to the hospital quickly. Drink lots of water as well. 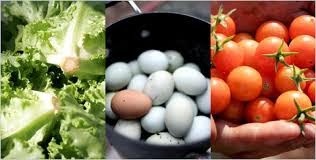 "Prevention is better than cure" If you are in doubt, then don't eat it. We need to be very careful, coupled with the Ebola issue in town. Stay safe guys. 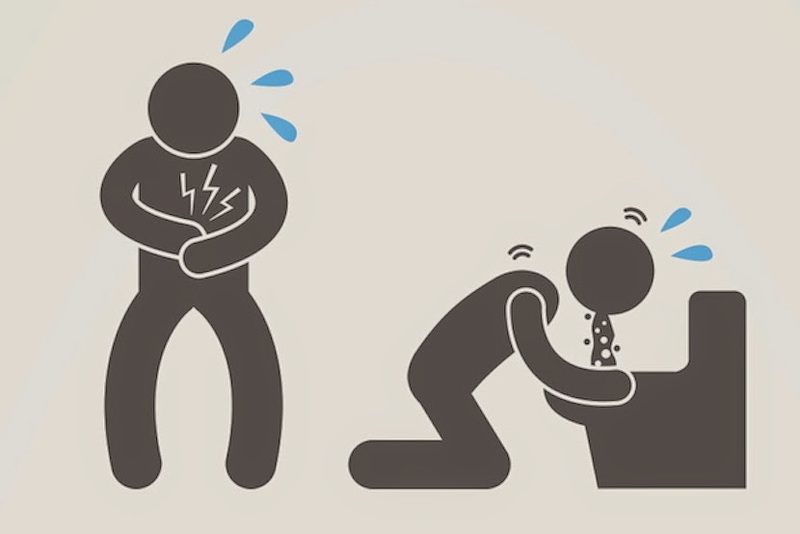 Please share your food poisoning story if you have ever experienced it. Thanks. You are right Amanda, its also easy for one to buy rotten pastries, the right option is to make your own. Most foods can be kept frozen till you are ready to eat them. Thanks dear.